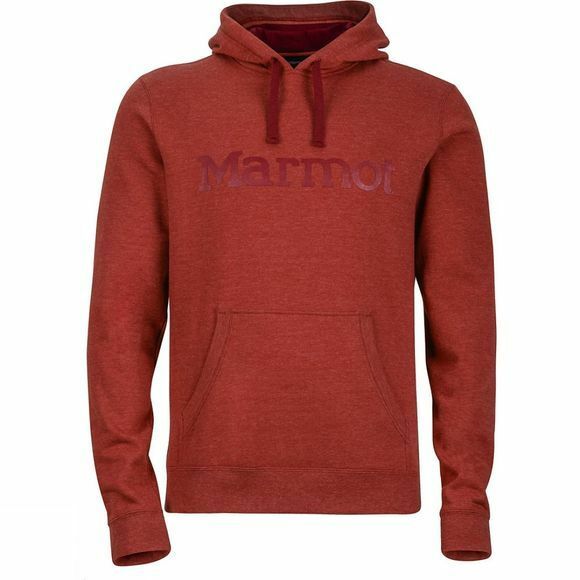 After a day battling the ups and downs of that almost-winter weather, make some soup, build a fire and pull on the soft and cozy Men's Marmot Hoody. 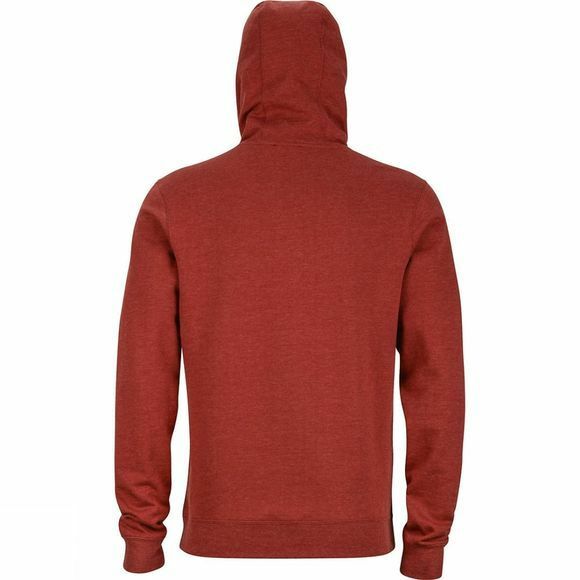 A midweight pullover fleece, the cotton/polyester fabric blend is garment washed and the hood is jersey-lined for extra softness against the skin. Keep your hands warm in the kangaroo pocket and pull the drawcord to adjust the fit of the hood. Simple front graphics feature a screen-printed logo with environmentally conscious inks.